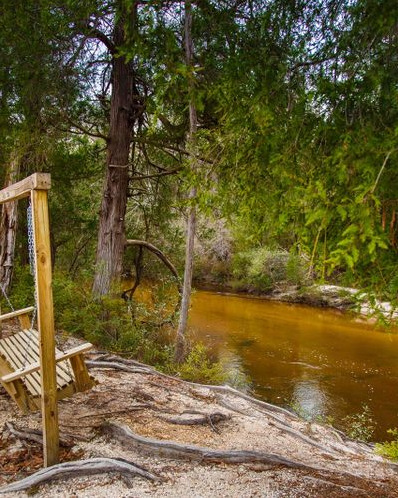 Creek Side Family Campground is nestled up against the Little Escambia Creek just 20 minutes east of Interstate 65. 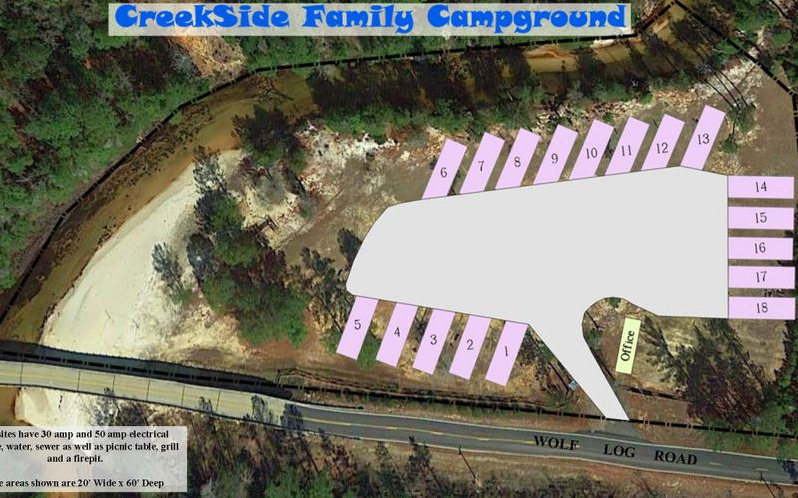 Full Service Hookups - Creekside Family Campground is nestled up against the Little Escambia Creek just 20 minutes east of Interstate 65. We have full camping hookups (30/50 amp, water and sewage). Each site has a fire pit, picnic table and grill. Free wifi is also provided. Relaxing Family Fun - We have a large white beach that extends along the creek with a volleyball net, swings and play equipment for the little ones. You can bring your chairs to the water's edge and relax or walk the trail upstream and enjoy a lazy tube trip back to the campsite. THE PERFECT GETAWAY - If you are looking for a stress free place to relax, come and join us!